Now THAT’S a Christmas gift! 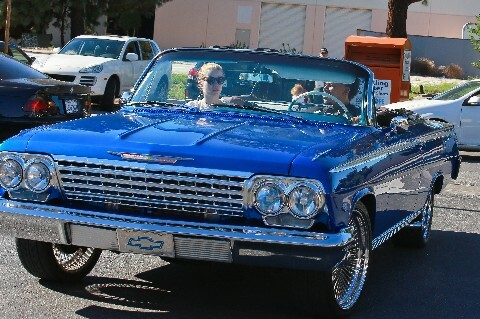 Rapper Iggy Azalea gave her Laker basketball player boyfriend Nick Young a beautifully restored 1962Chevy Impala convertible for Christmas yesterday! They haven’t stoppedcruising. Nick took Iggy out for ice cream and they breezed through the drive-in Chick-Fil-A. There’s nothing better than cruising on Sunset in an Impala ragtop! What’s Up With Face Oils? Kim Kardashian: Denim Is Not Your Friend!